Welcome to the Wildcat Battalion, 7th Bold Warrior Brigade, U.S. Army Cadet Command, located in Lexington, Kentucky. The Wildcat Battalion strives to educate, train, and inspire cadets in order to prepare them to serve successfully as United States Army Officers. As an Army ROTC Cadet at the Wildcat Battalion, you will have unique opportunities of partnership and leader engagement within the university, military, and community. 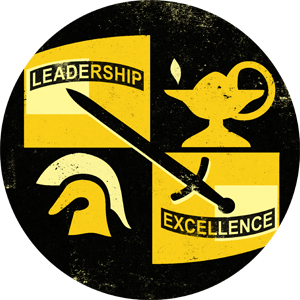 Army ROTC is not only designed for those who want to commission as a U.S. Army Second Lieutenant, but also for those who want leadership experience and personal development. This is my forth year being a part of the Wildcat Battalion. Within these four years, I have been granted the opportunity to travel to Tanzania, Africa for Cultural Understanding and Language Proficiency and to Fort Jackson, South Carolina for Drill Cadet Leadership Training with a Basic Training Unit. These two opportunities, in addition to the military training and classes provided by UK Army ROTC, have been outstanding experiences that have prepared me to commit myself to military service. Cadets can easily enjoy their college experience with a balance of academics, campus involvement, and socialization while also preparing to serve our country as a well rounded, responsible, and driven individual. If you are looking to join the most renowned leadership program, then look no further than the Wildcat Battalion on the University of Kentucky’s campus. Wildcat Cadets are leaders of character who embody the highest standards of Army discipline, demonstrate extreme competency, and strive for excellence in all endeavors. The Wildcat Battalion, 7th Bold Warrior Brigade, U.S. Army Cadet Command welcomes you to help this organization reach its full potential and looks forward to working with you.